A compilation of dough, sauce, vegetables, meats, and really anything you can dream of, all baked together to form a deliciously divine dish. Wrong. It hasn’t always been this way. Like everything, pizza has gone through its own unique evolution. Pizza, in the beginning, would be completely unrecognizable to us today. The people of the Mediterranean would cook their flatbread and then top it with oil, spices, and cheeses. “Pizza” was usually consumed by the lower class and a lot of the rich, snobby people looked down on this meal as disgusting. Around the year 1500, the poor people of Naples continued to consume pizza but added tomatoes to the toppings. They still pre-cooked their dough and pizza looked a lot like flatbread with an assortment of toppings. 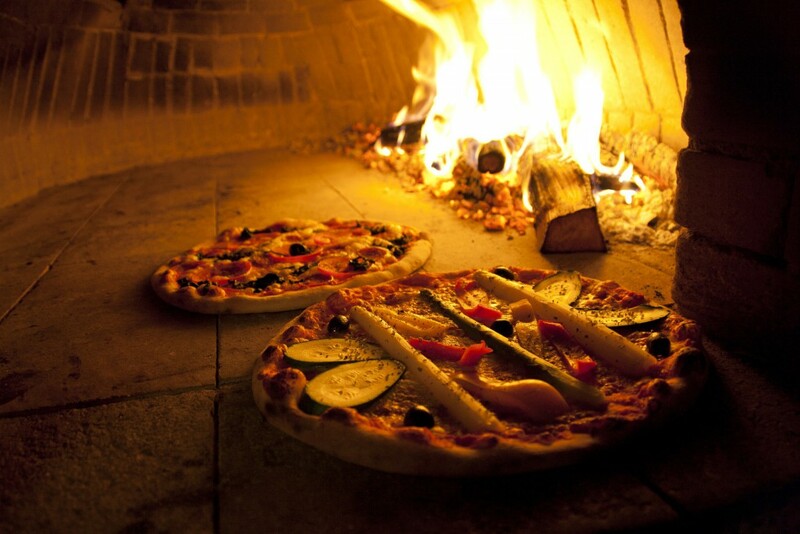 In the late 1700s, pizza dough began to be cooked with the toppings and the first “traditional” pizza was born in Naples, and soon thereafter the very first pizzeria was born, Antica Pizzeria Port’Alba, in Naples, Italy. Surprisingly enough, Pizza still hadn’t gain much popularity outside of Naples, Italy. However, like most products, pizza needed a celebrity endorsement for it to gain popularity. In 1889, King Umberto I and Queen Margherita visited Naples. As the legend goes, King Umberto I and Queen Margherita had grown tired of the customary cuisine and were looking for something to spice up their diet. They asked The Pizzeria Brandi for a variety of pizzas and Queen Margherita absolutely loved a pizza topped with tomatoes, soft mozzarella, and basil. Today, this pizza is known as the Margherita. Many people credit this ringing “celebrity endorsement” as the incident that led to pizza popularity throughout Italy. Pizza gradually migrated to the United States as citizens of Naples immigrated to the eastern United States for factory jobs. Their flavors and dishes quickly caught on with the population and pizza began to spread. Lombardi’s Pizzeria, the first known pizzeria in the United States, opened in 1905. Prior to that point, most pizzas were either homemade or sold by unregistered street vendors. Lombardi’s has since relocated, but they are still open for service today and apparently, they still use their original pizza oven. Although World War II was a dark point in world history, some good came of it. As we know from history, a large contingent of American soldiers were stationed in Italy or served there for a portion of their tour. While in Italy, they became accustomed to Italian cuisine and brought back many of their favorites after the war ended. Pizza spread quickly. From large cities to the suburbs and from east to west. Each city began to adapt pizza to their own cultural preferences. As we know from Chicago, New York, and San Fransisco styles. While pizza is common in Italy and the United States, it isn’t something unique to these countries. Once pizza took root in the United States, it spread to other countries like wildfire. A lot of countries took interest because it was “American”. Like different cities in the United States, each country adapted pizza to meet their cultural wants and needs. In Brazil, they put hard boiled eggs and catupiry on their pizzas, and in Japan they included cheese and honey. Pizza has come a long way from the Margherita in the small town of Naples. It has gone through an amazing transformation. The next time you sit down to eat your slice of pizza, take a moment to reflect on where YOU have come from and how you have changed–just like pizza. No Comments to "History of Pizza: Origins & Evolution"